Photoshop Alternatives: Adobe Photoshop, which has recently turned 32 and celebrated in some fashion. It has become so dominant among industry professionals. There is seldom an alternative suggested to it same like as the skype alternatives. It is the to-go choice of the professional designer and illustrator, albeit the one which cannot be afforded by the ordinary individual. While the monetary barrier is one case, the user-friendliness of the tool calls into question for many users. For some ordinary user in just the need of an occasional photo touch-up, Photoshop seems too grandiose. With a simple to use interface and as a much cheaper or free alternative to Adobe Photoshop will be provided for you. So in this article, We are providing you the best photoshop Alternatives and these following tools might be ones you just need for your photo editing tasks. Use these tool and get your work Done. Check the best photoshop alternatives for mac and windows operating systems. All these apps are working and are tested too. So rather than going for the photoshop you can use any one of these and get the photoshop things done simply. 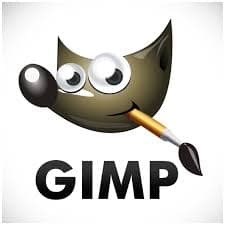 GIMP stands for “GNU Image Manipulation Program’ is one of the best free alternative photoshop tools for the photo editors. It will work on almost all the operating systems. it withstands the best free photoshop alternatives. But this app had a little fewer features when compared to photoshop but, this will have main and most important features to let you edit your pictures with the professional touch. It is widely used earlier, but it will work effectively on a photo to make it as a professional piece of work. So finally, we can say it as a good alternative to photoshop available for free in the market. Paint is a product of Microsoft. It is very easy to use and have a user-friendly graphical user interface. In this, we can edit a picture or a photo, Draw on a photo or you can also create your own drawing on a white blank sheet. 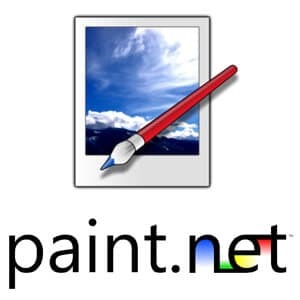 This paint.net is the first photo editor and also the first tool to be used by us in our childhood. But this app is less powerful in photo editing when compared to the GIMP or Photoshop. Whatever it may be we can say it as the best alternative to Photoshop. We can also edit the pictures, crop, change colors and draw shapes, cut into shapes etc.., with this paint.net software. This paint will possess more features like fill color, text insertion, text box etc. So we can say it as one of the fine photo editing software’s available in the market. This app is mainly useful for Mac users. 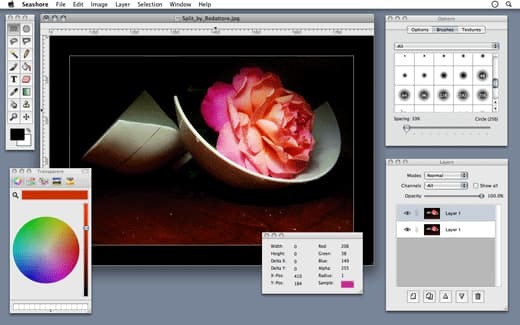 Seashore works as an open-source image editing tool which is based on Mac’s Cocoa framework. This app’s working will be somewhat relevant to the working of GIMP. But, we can say it as one of the Photoshop alternatives. But this is less powerful than the photoshop photo editor. A seashore is a tool which offers better editing features such as brush strokes, gradients, multiple layers and so much of good stuff in it. Seashore is a simple and easy-to-the-eye interface. So this is all about the Seashore – a photo editing tool. 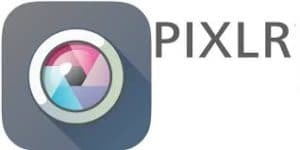 Pixlr app is an online based image editing tool. We can use this for photo and image editing when we are surfing on the internet itself. This is simply the best web-tool for image editing and lots more. And when compared to the photoshop, this pixlr app is also most effective. If you are one of those lovers of browsing. Pixlr is the best online-based image editing tool you’ll ever come across. If you are ever going to get close to Photoshop without paying a cent and without leaving your browser. Pixlr comes with the same features, layouts and keyboard shortcuts to that of Photoshop. Pixlr is the best online image editing tool and that too for free. PicMonkey is another photoshop alternative image editing tool, through which you can edit your images within the browser. This photo editing tool offers filters which we can see in the Instagram photo editing page. You can add several stickers and virtual mustache and beards or anything and can have fun. we can edit the image by splitting the layers. This is a free version of the app available so that you won’t need to spend money on it. 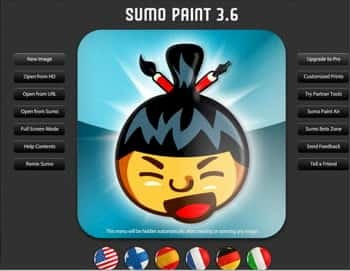 The sumopaint app for editing is available in both free and paid versions. It is also a web-based tool for editing your favorite images. It has features like symmetry tool, gradients, brushes, and other fun image stickers and editing tools. You can add party hats and funny masks, beard, and mustaches to your image and have fun in this SumoPaint app. Nothing can beat Photoshop or GIMP till now, but you can try this lightweight and best Image editing tool. 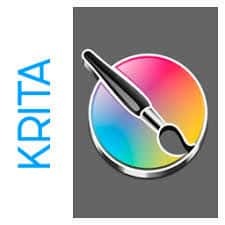 Krita is one of the best photoshop alternatives image editing tools ever, its work is based on the open-source platforms like Linux and Unix operating systems. This tool comes with the bundle of Office suite and which is a great source for all your image editing requirements on an open-source platform. Although it will lack a few features when compared to Photoshop or GIMP apps. This free tool is in its own traits and popular as a powerful imaging tool. CinePaint is not an ordinary image editing tool. We can say it as a most powerful tool and unique from the other apps. It is a powerful image retouching and editing software which can support the high 32-bit color fidelity also. This will Support all major UNIX-based software systems, but there is no stable version for this app in the Windows operating system. Just once use this cinepaint and feel the different experience. If you like it continue to use it. If you don’t like it you can simply check the other apps. 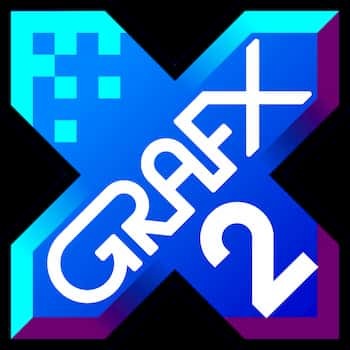 The GrafX2 is one of the best and outstanding tools that is available for open source platforms and supported by the Mac OS X and also the Windows. Initially, it was released as a pixel art in the year of 1996 which is the recent stable version of the free tool. Moreover, offers the key image editing features likewise palette editor, transparency and also the other effects which were designed in the indexed color mode. Supported by the different platforms like the Linux operating system, windows, haiku, AmigaOS, MorphOS, Mac OS X, and much more. Drawing in indexed colors, palette editor, color cycling, number of effects and brushes are some of the best features. Any of the windows compatible media format is the supported file format of the GrafX2. Well, if you are looking for the best alternative of photoshop then serif PhotoPlus is an outstanding one. The serif PhotoPlus X7 is the best and closest that you get from the photoshop on the budget itself. All that the curve of this particular tool is pretty high and definitely will not advise the beginners and novice. Instead of subscribing to the Adobe Creative Cloud. There is a huge sum of photoshop that might access the professional image editing in the form of PhotoPlus X7. Supported by the windows operating system. 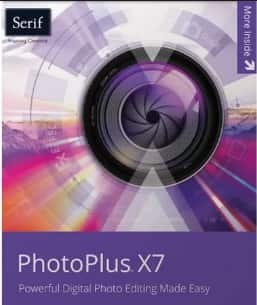 Crop, photo fix, resize, cloning, studio editing effects and much more are the features of Serif PhotoPlus X7. These are the best alternatives for photoshop to edit an image. Hope that you have got the best collection of Photoshop alternatives. Check the above post for the new updates. Visit the site regularly for more information. As a result, if you like the article can share with friends at social networking sites. Thank you for the visit. Stay in touch with cracko for the more latest stuff.